Football, or soccer, as it is commonly known, is the most popular sport in the whole wide world with more than 100 countries participating in its international and domestic events. The fast pace and constant excitement of this game is what makes it the most played sport in the world with billions of fans spread across the globe. Thus the competition is also very tough with every club vying to get the best and most talented players in their side to clinch victories in an extremely competitive event. 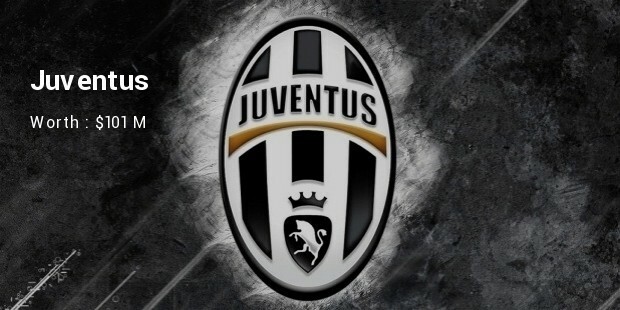 Juventus, the Italian professional football club is currently worth an estimated $101 million, making it the world’s most valuable and wealthiest private football club today. This is Italy’s 3rd-oldest football club and has a colorful history in the Serie A division since 1929. This football club was originally founded by several young students from Turin and has been managed by the famous Italian family of Agnelli. FC Barcelona, popularly known as Barca, is the top Spanish professional football club from Barcelona in Catelonia, Spain and is worth an estimated $69 million. 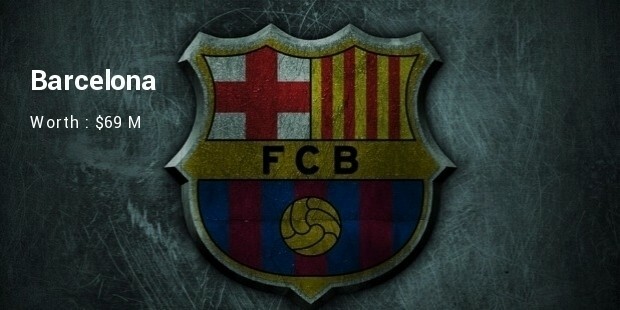 It was founded in 1899 by a collection of English, Swiss and Spanish (Catelonian) footballers, headed by Joan Gamper and is considered to be ‘more than a club’ according to their motto “Mes que un club”. 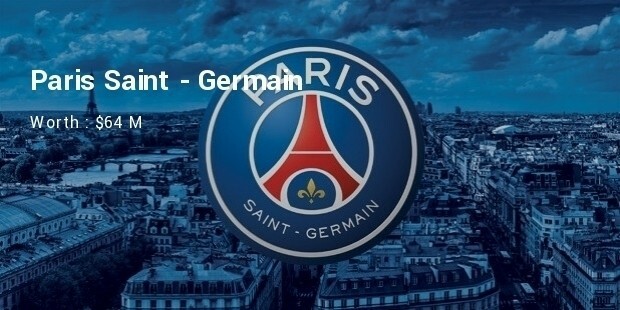 Paris Saint-Germain FC, also commonly known as PSG in short, is a professional French association football club out of Paris, France and is estimated to be worth around $64 million. The club was founded in 1970 through the merger of Paris FC and the Stade Saint-Germain. This French football club is the top in the country and has won many domestic and international titles till date. The Real Madrid FC, simply called Real Madrid (or Real), is a popular Spanish football club based out of Madrid, Spain and has an estimated worth around $59 million. 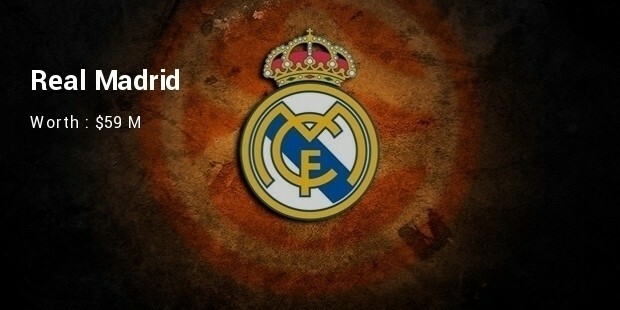 This professional football club was initially founded as Madrid Football Club in 1902 and has had the distinction of being bestowed the honor of Real (Spanish for royal) to their name in 1920. 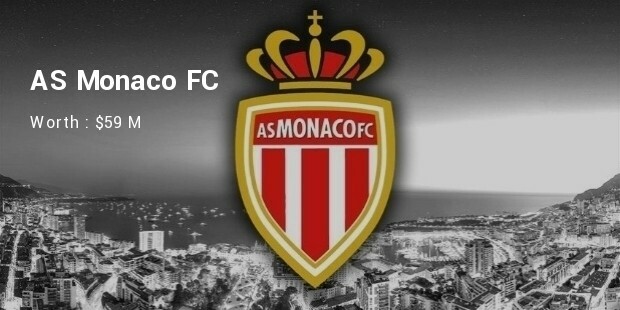 The AS Monaco FC, simply known as Monaco, is a Monaco-based French registration-holding football club worth to be an estimate $59 million. This club was started in 1919 and is a prominent Ligue 1 (A-League) team in the top tiers of the football club hierarchy in France. 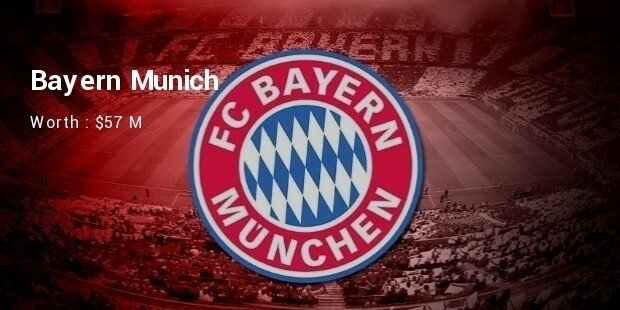 The FC Bayern Munich, simply called as Bayern Munich, is a German professional football club based out of Munich in Bavaria, Germany and is estimated to be worth around $57 million today. It is one of the most popular and best German professional football clubs and was initially established by Franz John and other 11 football players and is the winner of numerous domestic and international football titles. 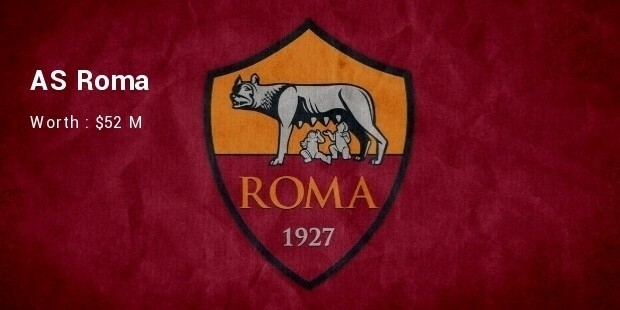 Associazione Sportiva Roma, simply called as Roma, is a popular Italian professional football club from Rome and is today worth an estimated $52 million. It was established in 1927 after a merger with another unknown club and are the winners of several domestic and international titles till now. 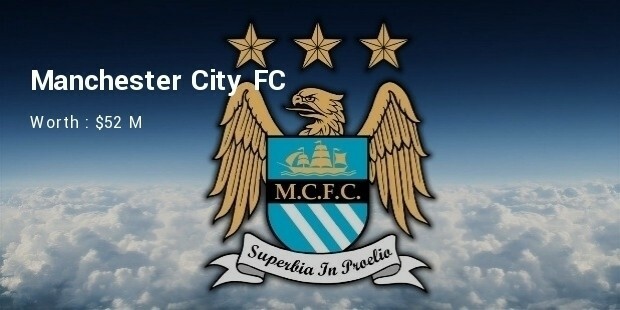 The Manchester City Football Club, commonly known as simply Manchester, is an English professional football club worth around $52 million. It was initially started in 1880 as St. Mark’s (West Gorton) and later changed its name to Ardwick Association Football Club in 1887, before finally being named as the Manchester City FC in 1894. This is one of the most renowned and popular English football clubs today. 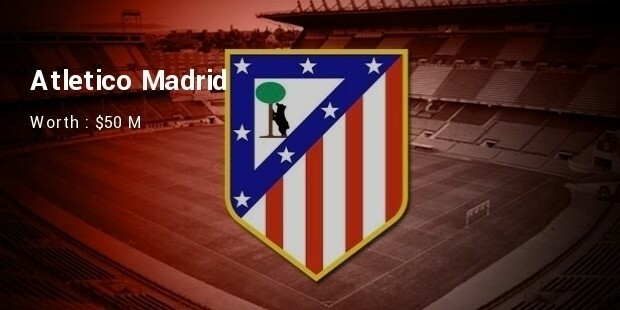 Atletico Madrid, known simply as Atletico, is a professional Spanish football club based in Madrid, Spain which is worth to be around $50 million today. This is the 3rd best professional football club in Spain and has the current king of Spain, Felipe VI, as its president since 2003 and is also the owner of the Indian Super League franchise, Atletico de Kolkata in Kolkata, India. 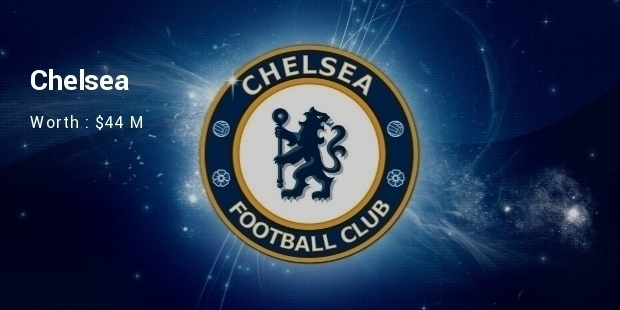 Chelsea Football Club, simply called as Chelsea, is an English professional football club based out of Fulham in London and is estimated to be around worth $44 million. This club was founded in 1905 in the club’s home ground of Stamford Bridge and is the winner of several international and national club championships. These teams have become millionaires in their own rights with loads of money being generated not only from the ticket sales but mostly from the television rights, merchandise deals as well as from numerous sponsors donating generously towards their favorite football club. These teams have started receiving almost triple the amount they received a few years back.